SAG shows the Oscars how to appreciate diversity. The Screen Actors Guild displayed its appreciation of black actors Saturday night. Several black performers received SAG awards for TV performances: Queen Latifah for her role as blues singer Bessie Smith in Bessie, Viola Davis for How to Get Away With Murder, Uzo Aduba forOrange Is the New Black and Idris Elba for his role in Luther. Elba took center stage when he also won the supporting actor prize for his role in the film, Beasts of No Nation, which the Academy of Motion Picture Arts and Sciences overlooked for an Oscar nomination. “Welcome to diverse TV,” he said, sending a clear message to academy members who nominated only white actors for Oscars for a second consecutive year. The Oscar snub of actors of color unleashed a barrage of criticism for the lack of diversity among its voting members. “This is what happens when you have the SAG group—a group of very diverse people who understand the work that we all put in and that we all deserve the same opportunities,” Queen Latifah told the Los Angeles Times backstage. Davis told the L.A. Times that this group of black actors won because of “effective” performances. President Obama Approves Emergency Aid to Flint, Mich. The federal emergency declaration will cover much of the cost for clean water to the largely poor and black city. Meanwhile, calls grow louder for the governor’s resignation. The White House declared a federal emergency in Flint, Mich., Saturday to alleviate the city’s lead contaminated water crisis, the Detroit Free Press reports. President Barack Obama’s response releases up to $5 million and authorizes the Federal Emergency Management Agency to coordinate relief efforts. This action will cover 75 percent of the costs for providing clean water, filters and other items to residents. Unlike a disaster caused by a hurricane, Flint’s water emergency is man-made. In 2014, officials switched the city’s water source from Lake Huron to the Flint River to save money. The more polluted river water, treated at the Flint water treatment plant, turned out to be corrosive to the city’s pipes and caused toxic levels of lead to seep into drinking water. Meanwhile, the governor is under pressure to resign over what has become a scandal. Critics say that state officials knew for months that the water supply was unsafe before Snyder declared a state of emergency and sought help from Washington. Many residents of Flint, a predominantly African-American city, complained about their water’s odor, taste and color shortly after the water supply switch. But officials ignored those complaints, according to the Free Press. They also downplayed medical reports of elevated lead levels in children. Esaw Garner praised the decision to punish a police sergeant at the scene of her husband’s death but vowed Saturday to continue her battle for justice, the New York Daily News reports. “When they indict Daniel Pantaleo, then I’ll jump for joy. Until then, I’m just gonna keep going on, using your faith and my faith and the sight of God to see that they get what they deserve,” she said at Al Sharpton’s National Action Network headquarters in Harlem. New York City police officials placed Sgt. Kizzy Adonis on modified duty Friday, taking away her gun and shield. An internal investigation ended in departmental charges against the 14-year veteran. Adonis, who is black, was one of the supervising officers at the scene of Garner’s death 18 months ago. Millions of people around the world have viewed the video of Pantaleo choking Garner, whose dying words were, “I can’t breathe.” Several other officers stood by during Garner’s arrest for illegally selling loose cigarettes. A Staten Island grand jury declined to indict Pantaleo in December 2014. But New York City settled with Garner’s family for $5.9 million. Baltimore public housing officials agreed to settle a class-action lawsuit for up to $8 million with tenants who accused maintenance workers of sexual harassment, the Baltimore Sun reports. According to the lawsuit, workers demanded sexual favors from the victims in exchange for making repairs. Those who refused the sexual advances endured life-threatening conditions in their units, such as exposed electrical wiring and mold. “Mistakes have been made here, and some of them very serious,” Baltimore Housing Commissioner Paul T. Graziano said at a news conference Friday. NBC News reports that officials fired at least 50 workers at the Gilmor Homes, Westport and Govans Manor projects. No one has been charged with a crime but an investigation is underway. Sara Garret, one of the 19 female plaintiffs, said two workers harassed her for several years. Court documents said she and her four children lived with exposed wires and a broken stove in their apartment. Baltimore City Housing officials will relocate Garret and the 18 other original plaintiffs publicly identified in the lawsuit to new addresses. Other victims will have 60 days after a court and federal authorities approve the settlement to come forward and apply to join the case. All of the plaintiffs will split the settlement. Among the changes going forward, officials will conduct ongoing sexual harassment training and establish a computerized system for tenants to request repairs. 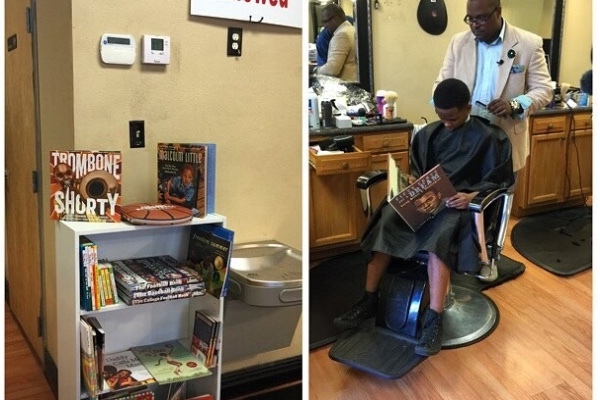 An article published in The Root last year about a Florida barbershop that promotes literacy sparked a movement miles away in the cities of Prichard and Mobile, Ala.
Freddie Stokes launched Books for Boys about three weeks ago. He initially intended to establish small libraries, of about 75 books each, in two or three barbershops, but the response to his initiative was so overwhelming that Stokes says he’s now able to establish libraries in at least six barbershops. The first one will open in mid-June. “We don’t want to stop until all the barbershops in this community have libraries,” he says, with an air of reserved confidence that it will be done. Stokes is supplying books with which black boys can identify. “When our boys say they don’t like to read, a lot of that is coming from not being interested in reading about characters that don’t look like them,” he explains. His growing stockpile includes biographies, such as Malcolm Little: The Boy Who Grew Up to Become Malcolm X, 12 Rounds to Glory: The Story of Muhammad Ali and Barack Obama: Son of Promise, Child of Hope. In addition to promoting literacy, Books for Boys aims to raise self-esteem. Stokes grew up in public housing and struggled early in school, having to repeat the third grade. A teacher inspired him to read books, including those about successful African Americans, which allowed him to dream big and ultimately achieve his goals. 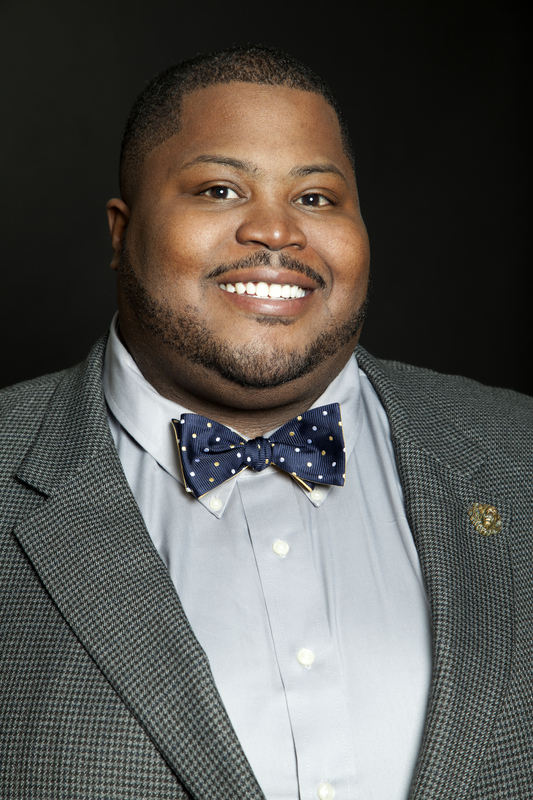 Stokes worked in classrooms for two years through Teach for America, an organization that places recent college graduates and professionals in underserved classrooms. He introduced his students to books with positive black characters and watched their self-esteem grow. “When I went from the classroom to the courtroom, I was able to connect the violence to a lack of reading and self-esteem,” says Stokes, who is also a criminal defense attorney in private practice. Stokes admits that he didn’t expect the overwhelming response that he received. Barbershop owners said that they are expecting scores of boys to come in over the summer and would gladly offer them books. Parents, sometimes groups of them, are donating with a request that Stokes open a library where they take their sons. And local professionals are opening their wallets to sponsor barbershops, sometimes with a request that Stokes purchase books that emphasize math and science. In a few short weeks, Stokes’ grassroots effort raised more than $1,500 on GoFundMe. Folks in the community have also given about $800 in cash donations toward the purchase of books. Stokes hopes that this small effort ignites a larger movement that reaches well beyond the Mobile area.